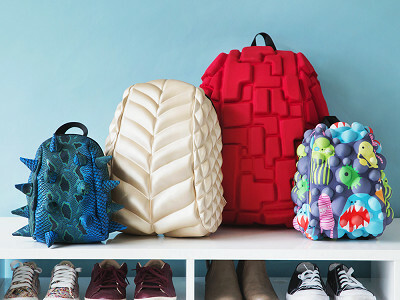 Make a statement in the classroom or office with MadPax’s bold, three-dimensional take on the classic book bag. 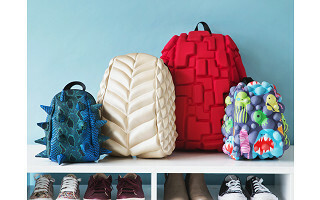 With vibrant designs and origami-inspired forms, each pack will turn heads while keeping your stuff organized and accessible. Maker Tina Huber made the first MadPax for her son. It was such a hit she began creating bags for anyone who wanted a little fashion on their back without compromising function. 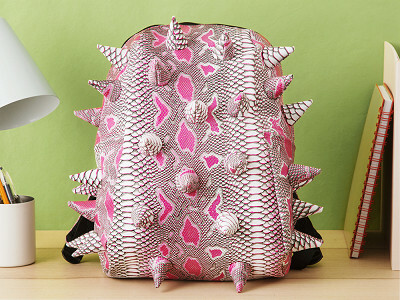 These backpacks are more than just eye-catching. 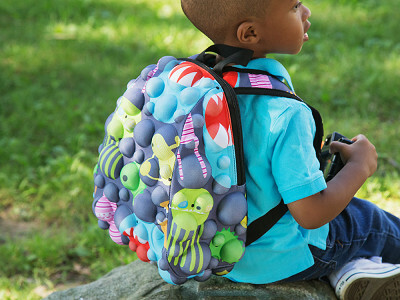 There are sizes for the entire family, from the littlest toddler to school-aged kids on up to adults. 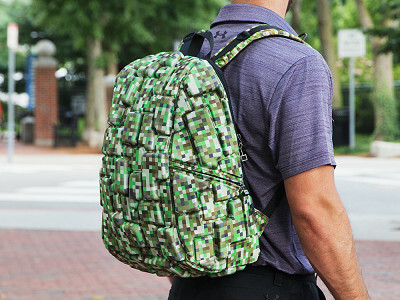 The largest packs have a padded spot for a laptop, and compartments inside and out. Whether you’re riding the school bus or commuting to work, with a MadPax bag, you’ll stand out from the pack. 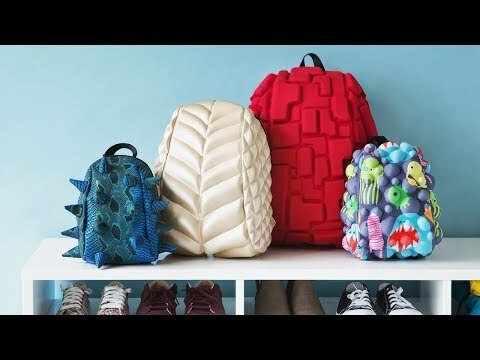 A giant hello from the Mad Scientist at MadPax where we create backpacks and power packcessories that are 2 pounds funk, a cup of punk, and a dash of double dare! These are for kids of ALL ages. Bring on the madness! Hello, is there any way to see the inside of these packs? I would love to purchase one but I need more information regarding its actual storage capacity. @Shawn That's a great suggestion! I'll definitely forward the idea along to Tina, we always appreciate new ideas for products.